Intelligence Gathering in the Maritime Domain: Is China Using Double Standards? Appraising the existence of a Chinese “double standard” on EEZ surveillance requires a close look at the evidence. Lieutenant Commander Tuan N. Pham, a serving U.S. Naval Officer with considerable experience in ‘intelligence,’ has published a critique of my recent article “The China –US Spying Debate” (IPP Review, August 4; republished in the Diplomat on August 4 as “The US-China Maritime Surveillance Debate”). Pham’s article –written in his personal capacity and entitled “Chinese Double Standards in the Maritime Domain”– appeared in the Diplomat on August 16. In it he critiques an article by an author he does not identify that in his words “tries to explain and justify [China’s] AGI (maritime intelligence gathering) activities.” I am that author. While I am flattered that Pham tries to interpret Chinese policy from my opinion piece, I am sorry to disappoint him. My ideas and opinions are totally my own and I have not consulted or discussed them with anyone — Chinese or otherwise. In short they certainly do not — as he postulates — represent “a nuanced pivot in Chinese legal and diplomatic position,” a “trial balloon,” or “set the conditions for future ISR [intelligence, surveillance and reconnaissance] operations.” Rather, they are solely the result of my analysis of each country’s kinetic capabilities and activities and their relevant legal and diplomatic positions. Regarding the substance of his critique, Pham maintains that China is hypocritically using double standards regarding ISR activities by opposing them in its 200 nautical mile Exclusive Economic Zone (EEZ) while undertaking them in others’ EEZs. …despite all of China’s grandiloquence about Chinese maritime rights under UNCLOS and accepted international norms, Beijing is still conveniently disregarding several provisions therein to support its national interests and complement its strategic objectives. This is specious and should not go unchallenged. China can not play by its own set of rules or worse flaunt its exceptionalism on the world’s stage for all to see. Beijing needs the international community to believe that its commitments under international law are sincere and credible. I quote Pham’s at length because it is striking how “America” could easily be substituted for “China/Beijing.” Indeed, Pham neglects to acknowledge that regarding its ISR activities, the U.S. is unilaterally interpreting and applying to its benefit key provisions of the UN Law of the Sea Convention (UNCLOS), which it has not ratified. Surely that is hypocrisy. 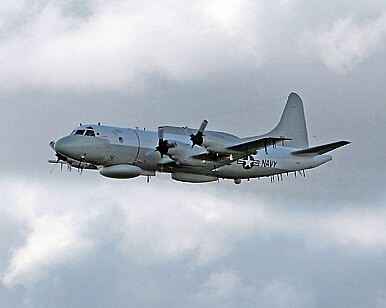 What China objects to is the activities of ISR aircraft like the EP-3 and the P8, as well as those of the US Navy ships Bowditch, Impeccable and Cowpens, that may have collectively included active “tickling” of China’s coastal defenses to provoke and observe a response, interference with shore to ship and submarine communications, violation or abuse of the consent regime for marine scientific research, damage to the environment, and the tracking of China’s new nuclear submarines for potential targeting. If so, these are not passive intelligence collection activities commonly undertaken and usually tolerated by many states — including China. Rather, they are intrusive, provocative, and controversial practices that may be considered a non-peaceful threat to use force or violations of both China’s marine scientific consent and its environmental protection regimes. The latter could occur when and if the P8 drops sonobuoys (which is part of its repertoire) or the Impeccable and Bowditch deploy “scientific instruments in China’s EEZ.” China’s EEZ environment and its national environmental laws may be violated if U.S. sonar systems or live fire exercises adversely affect fish and mammals like whales and dolphins. Whether these concerns are valid or not, China is probably not violating relevant UNCLOS provisions with its AGI vessel activities — and the U.S. may well be doing so — on a grand scale. Key to resolution of my differences with Pham is knowledge of what each country is doing in each others’ EEZ. I do indeed argue that there is probably a huge difference in scale, technological capability, methods, and objectives between what China and the U.S. are doing. Ironically, the ‘different scale’ argument was first used against China by its critics to demonize its occupations and “militarization” of features in the South China Sea. Although these critics grudgingly acknowledged that China was not doing anything other claimants had not done, they nevertheless singled out China’s behavior as unacceptable because of the much greater scale and ‘aggressiveness’ of its activities. Again. ironically, the U.S. often alleges that China is not being transparent in its military modernization. But in the case of ISR, it is the U.S. that is not being transparent regarding the scale, capabilities, methods, and objectives of its ISR activities in China’s EEZ. If Pham wants to make the argument that both are doing the same thing with ISR, then it is incumbent upon him to tell us all exactly what the U.S. is doing in China’s EEZ. That will enable objective analysts to determine whether or not the U.S. is violating UNCLOS. If Pham is unwilling or unable to do so, then he should refrain from alleging the two are doing the same thing and that China is practicing “double standards” regarding ISR activities. Otherwise his argument is superficial and misleading and we are all — including Pham — just left to speculate on the legality of U.S. and China ISR activities in each others’ EEZs. Mark J. Valencia is an Adjunct Senior Scholar at the National Institute for South China Sea Studies, Haikou, China. Rex Tillerson's plan for the South China Sea is unworkable. Rescind China's Invitation to Join RIMPAC 2016 Before It's Too LateChina's Successful Coercion of Vietnam in the South China Sea Deserves US AttentionA Year Later, the South China Sea Award Stands as Evidence of China's Rule-Breaking BehaviorChina Mulls Maritime Law Revisions, Codifying Its South China Sea PracticesIs China-Philippines Bilateralism on the South China Sea Going Anywhere?